Feeling responsible for the shattered lives of his loved ones, beleaguered police detective Nishi (Takeshi Kitano) takes desperate measures to try and set things right in a world gone wrong. With his wife suffering from leukemia and his partner paralyzed from a brutal gangster attack, Nishi borrows money from a yakuza loan shark and then robs a bank to clear his debt. The yakuza, however, are not so easily bought off, sending Nishi down a road paved with nihilism and violence. 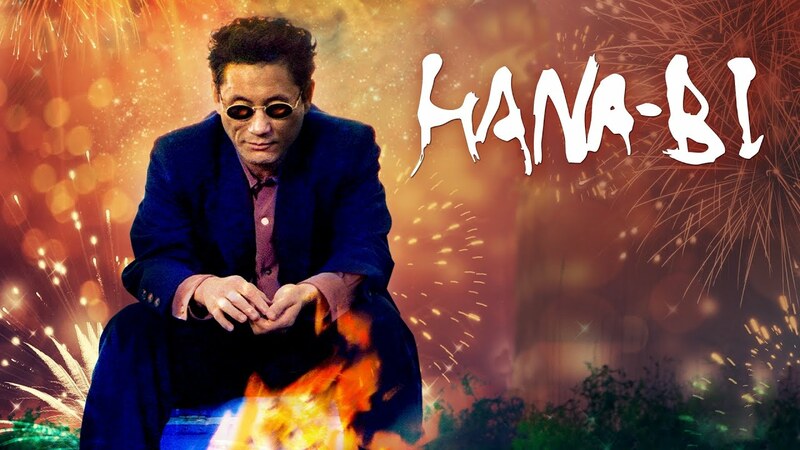 Considered Kitano's first true cinematic masterpiece, HANA-BI demonstrates the auteur's immense talents both in front of and behind the camera. "[A] masterpiece…brutal and tender…As writer, director, and star, Kitano creates a beautifully abstract, intricately structured meditation on personal obligation, considering the strong grip that a life of violence has on those who’ve lived it." "... an exceptional piece of filmmaking, a drama that blurs the line between the ultra-violent cop movie genre and weepy but moving melodrama, and does it very convincingly." "One of [Kitano’s] best and most powerful...."